You love being an event planner. What you haven’t loved so much, is developing a new list of contacts. Oh, the things we do for love. You’d worked up an excellent business as an event planner, then fell in love and moved to a new town. You’re starting to gain traction but have run into headaches with other party equipment hire around Sydney that have either failed to deliver or couldn’t accommodate your booking. 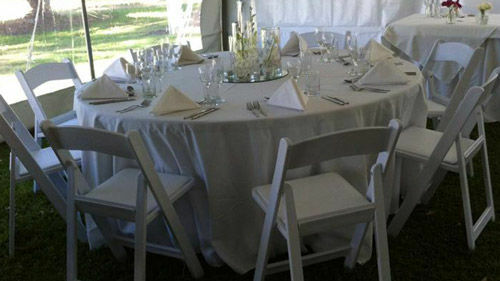 If you’re going to be competitive with event planners in Sydney, you’ll need reliable event hire. Outwest Party Hire is your comprehensive source for all things party hire for all your Sydney bookings. We’ve gained a reputation for being friendly, professional, knowledgeable, and skilled over our 20+ years supplying party equipment hire throughout the region. You’ve got clients to attend to; you don’t have time to call around town to various vendors offering limited or a single type of event hire. When you browse our gallery, you’ll see we provide items for event hire that most overlook. Any party hire in Sydney will have tables and chairs, perhaps even linens, but do they also have marquees, lighting, dance floors, BBQs and rubbish bins? Our inventory is stocked with a wide range of styles and quality from disposable to high-end table settings. When you make Outwest Party Hire your number one source for party equipment hire for Sydney events, there’s no limit to the clients and desired venues you can manage – everything is just a click or call away. Our team is here to help. Your job is orchestrating breathtaking and memorable events; ours is supplying the pieces that make that occasion memorable. Beyond party equipment hire, we believe that thorough knowledge of our equipment is of the utmost importance. This also means that you don’t have to worry about becoming an expert on equipment such as marquees and dance floors, both of which take a bit of experienced know-how to install correctly for safe use. We’re easy to work with and make ordering clear, simple, and easy with itemised pricing right on our website. We won’t leave you biting your nails waiting for us to arrive. When we say, we’ll be there, we’ll be there. We keep an inventory that considers everything so that when your client has last-minute addition, or something goes overlooked, a quick solution is never far away. Our stock of party equipment hire accommodates all location types and sizes of events while our extensive list of miscellaneous rentals provides fun and flair to any occasion. Have guest enter birthday parties on their very own red carpet, and cover unsightly lawn blemishes with patches of fake grass. With us in your back pocket, you can offer your clients the world, and they’ll think you’re going above and beyond. They don’t have to know you’re making one phone call. We won’t tell if you don’t!